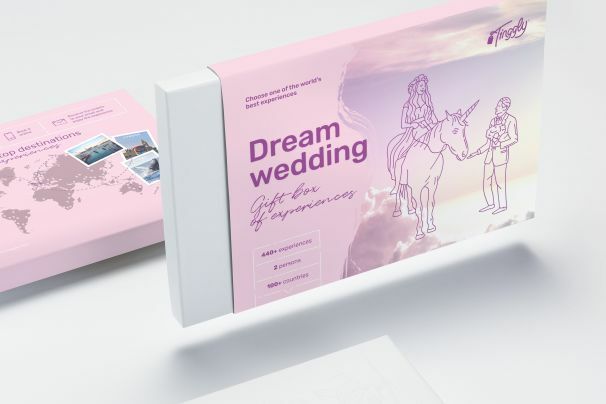 Tinggly's Dream Wedding gift box has the perfect choice of experiences from around the world to gift to that perfect couple on their perfect day. We think you’d struggle to find a more memorable Paris sightseeing tour than this. See the ‘City of Love’ from a unique and enchanting perspective with an elegant horsedrawn carriage ride through the streets. Pass the Eiffel Tower, the Champs Elysees, the Arc de Triomphe and more, and enjoy the admiring glances of passers-by as well! As Sinatra sang - love and marriage go together like a horse and carriage. If you’re a couple looking for a romantic excursion, this Paris gift experience is sure to provide inspiration. Upgrade your tour to include champagne which you can sip as you drive through some of the city’s most beautiful areas, pulled along by a handsome Shire horse. An unforgettable way to explore Paris.